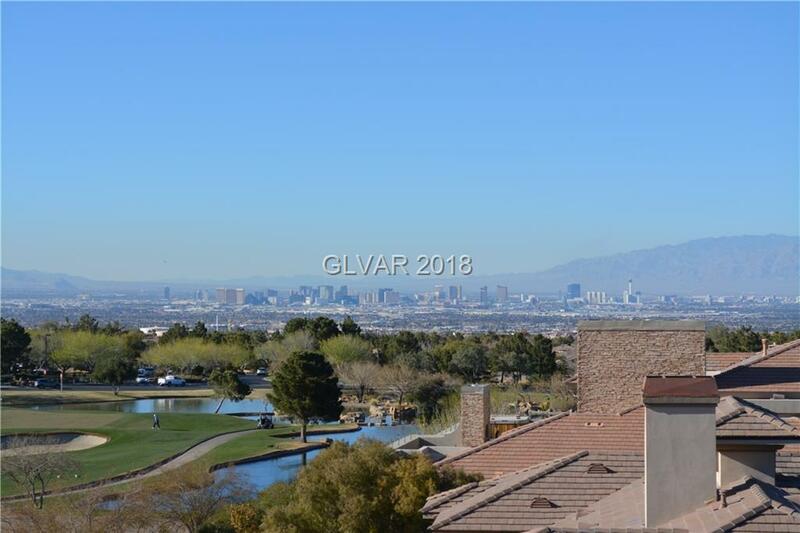 14,703 sq ft GOLF FRONTAGE CUSTOM w/ SPECTACULAR VIEWS OF THE LAS VEGAS STRIP! FIXER UPPER w/ AMAZING POTENTIAL FOR BUILT-IN EQUITY OR MONEY MAKER FLIP! * Open Floor plan* 12" thick walls *ELEVATOR* 1200 AMP for Electrical* Custom Euro Cabinetry* 2 Kitchens* Lutron system *2 story water wall* Casita* Wet Bars* Theater RM* Wine Rm* 15 AC Units* Pool size backyard. Very Expensive Archetectural Design* KILLER DEAL FOR THE PRICE! A MUST SEE!